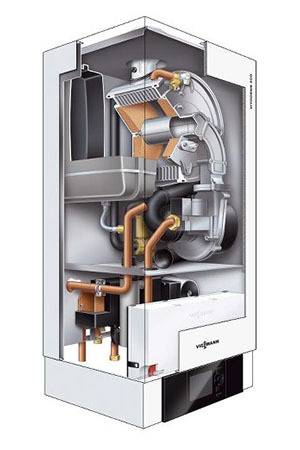 Viessmann’s domestic product range has been built around a long established reputation for high quality commercial heating systems. 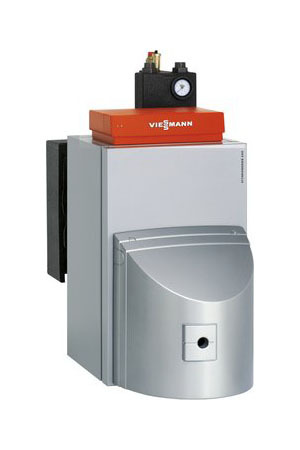 Viessmann manufactures all of its own products and controls to ensure that the drive for quality remains throughout the entire range and that there are additional benefits from combining its heating technologies. Suitable for both new build and replacement applications on sealed systems, the Vitodens 100-W Combination, Compact and System boilers combine great performance with easy installation and maintenance. A feature of this model is the specifically developed automatic combustion controller Lambda Pro Control, it ensures a standard efficiency of up to 98% (Hs) / 109% (Hi) and consistent high energy efficiency. 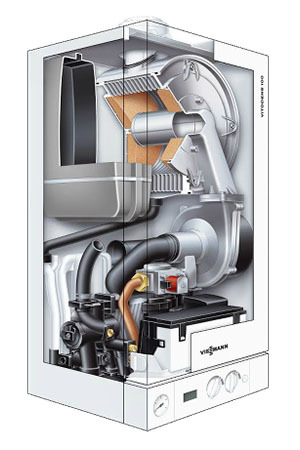 The Vitorondens are floorstanding oil condensing boilers with an attractive price to performance ratio. Also with compact dimensions. It is based on the Vitorond 100 cast iron boiler, proven over many years. The Vitoflame 300 Unit blue burner is designed for use with all commercially available low sulphur fuel oil.